In 2003, April 28 was first declared as the World Day for Safety and Health at Work by the International Labour Organization (ILO). It began as a day to commemorate all those who had died while at their jobs due to accidents and other causes – like miners, construction/factory workers, fire fighters etc. ILO’s studies show that ‘more than 2.3 million people die from work-related injuries and illnesses globally’. The only way to reduce it is by creating awareness on workplace safety, and building preventive strategies to reduce occupational hazards. For this, organisations need to focus, not just on the physical infrastructure and safety, but also on psycho-social factors that can lead to stress at the workplace. 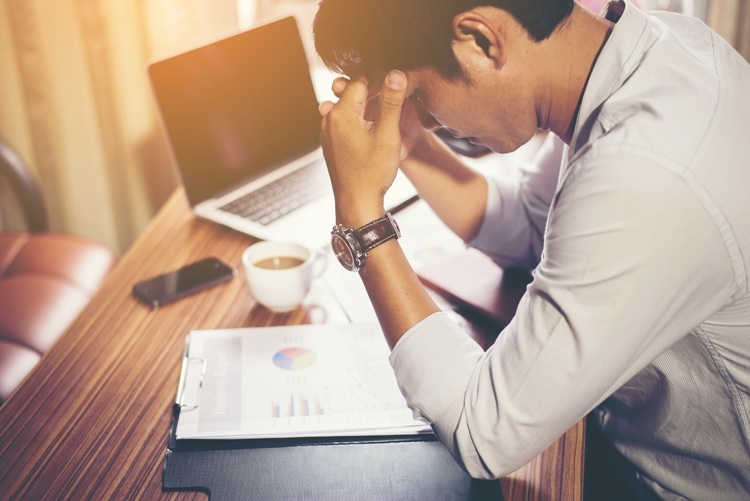 Stress and depression are growing at a rapid rate globally, adversely impacting an employee’s physical and mental well-being. Thus, it is becoming the need of the hour for management to adopt approaches that mitigate and overcome stress at the workplace. Depending on your industry requirements and pressures, you need to design and develop practices that create a physically safe and stress-free environment for your employees…a place they love coming to and working in. There are extroverts and then there are introverts in every organisation. You may think some enjoy working by themselves, but the truth is that no man is an island…even at the workplace. Moreover, lone workers are at greater risk of feeling unsafe and stressed. Thus, interaction with other team members is vital to an employee’s psychological well-being. Even for jobs that are more solitary in nature, create opportunities that allow employees to come together and feel supported, like off-sites or regular team meetings. This will also help them bond and vent their personal and professional grievances with their peers. If an employee has always been chirpy, but suddenly becomes quiet and goes into a shell, you have reason to worry. Also, when you notice an employee, who was otherwise prompt in delivering, is now delaying work commitments, you should try to understand what is going wrong. May be his workload is more than he can handle, or may be too much stress is making him less productive. As an employer, you can give him some time to open up and listen to his problems. You can also encourage him to take a few days off and recharge his batteries. Additionally, discourage employees from taking work home, and as an employer respect their personal space and avoid reaching out to them in their personal hours unless very urgent. Yes, the obsession for scale and expansion is driving most business leaders insane. They are in turn transferring the same pressure to their employees and colleagues. A general feeling of ‘not meeting targets’ is at the back of every employee’s mind. Make it mandatory for employees to use their paid leave. Some organisations don’t allow leaves to be carried over to the next year or for employees to encash their leaves. This can actually be a good system because employees learn to utilize their leaves and plan the necessary breaks they need in the year. Time out from work and necessary rest allows employees to get back rejuvenated and with greater zeal… The time off helps employees move away from the monotony of their daily routine, allowing them time to explore their own passions, travel and see new cultures, or generally relax with family. Some companies nowadays are blatantly saying, we have very short lunch breaks. But this can be an extremely unhealthy approach for employees. Employees need regular breaks in between their work day to get up from their desks, stretch a bit, conduct their own personal chores, and even bond with others in the organisation. The non-stop work culture is detrimental to productivity as it increases fatigue and reduces creativity and concentration. Thus, give employees enough me-time in their work day, allow them to go for short walks, or provide recreational facilities in the office itself that give them the opportunity to unwind. This could be a media or recreation room, or may be a snooze room, where they can catch a few winks when they are tired. Infrastructural issues like lack of ventilation in an office or an unsafe commute to work; occupational hazards like working alone in night shifts, or in the case of hospitals dealing with medical waste and deadly diseases, can all aggravate the sense of insecurity and stress experienced by employees. This is ultimately detrimental to their mental and physical well-being. Organisations can try to bring together the various stakeholders in a common mission to build and implement safety mechanisms. Governments too can play a role here. I remember, recently an orgaisation in Mumbai – located near Lower Parel railway station – was appealing to the government to improve the roadway for employees to walk to their workplace… As the only road from the station is filled with vendors and there’s no clear pathway for pedestrians. Such efforts can increase workplace safety, and consequently the health of employees. These were just some ideas on workplace health and safety. Feel free to share with us programs that you as an organisation undertake to ensure the same. If not, use April 28 as a day to introspect and brainstorm collectively on how your organisation can become ‘the best place to work’ for employees. Author Profile: Ritika Bajaj is a prolific writer and editor, focusing on people, startups, and the finer nuances of life. She is currently a content consultant, generating ideas and providing solutions for online and offline mediums. Ritika describes herself as a spiritual seeker, voyager, and change agent, constantly finding ways to make life richer and more meaningful.